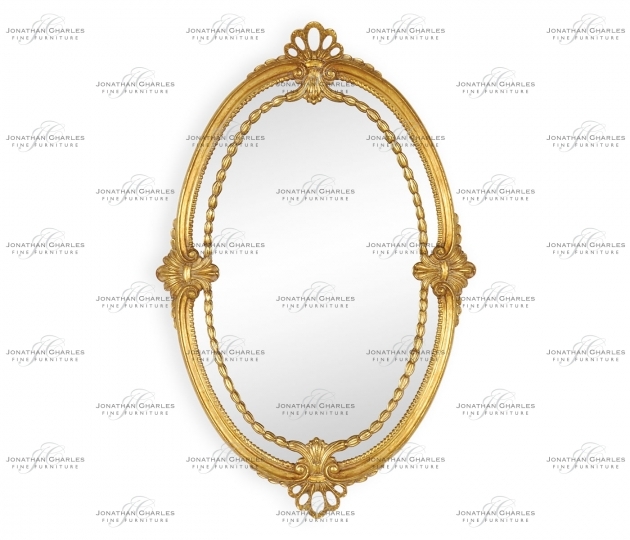 Elegant Adam style oval gilded antique gold-leaf mirror, the glass panel with an overlaid decoration of running seed heads and neo-classical finely carved ornaments to the top bottom and sides. Based on an original design of the 1770's. Plain mirror glass.